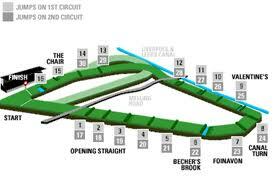 This past weekend the Grand National Hunt Race was run near Liverpool, England. It is a world famous annual steeplechase, with history dating back to 1829. The Grand National is a real beast of a race. It requires competitors to traverses 30 fences over an incredible 4 mile course taking about 9 minutes to complete. This year 40 horses started the race. The largest field consisted of 66 runners in 1929. The age of the horse tends to be older than most US race horses with all previous winners falling between the ages of 5 and 15 years old. Mares are permitted as are geldings. Many of the horses that start this race, do not finish it. The most horses to have completed the race was 23 in 1984 and the smallest number to finish was 2 horses in 1928. A little comparison can be made using the popular US thoroughbred race, the Kentucky Derby, which is run on the flat over a 1 ¼ mile course that takes about two minutes to complete. It is run on a dirt tack and requires horses starting to be three year old Thoroughbreds. The field usually consists of 20 horses and they do permit fillies. The Kentucky Derby is the longest continuously run horse sport in US history. Both races have attracted the attention of animal activist for an array of reasons. There were two horse deaths at this year’s Grand Nationals. You can see in the video that the pack is diverted around one of the fences on the second loop to avoid an injured horse being euthanized behind a black curtain. The statistics state that there are six deaths per 439 horses that take part in the race, taken from 2000-2010 (found that on Wikipedia). Thoroughbred racing, speaking of the industry as a whole, is similarly pinned for several reasons including the young, under developed age of the horses that causes some of them to breakdown. This industry is also criticized with how the horses are treated at the end of their very short racing careers. Both races and industries do attract a massive amount of spectators and have become part of tradition with lengthy histories with a lot of financial backing. And both the Grand National and the Thoroughbred Racing industry are trying to make compromises and enact better policies to minimize some of the issues. 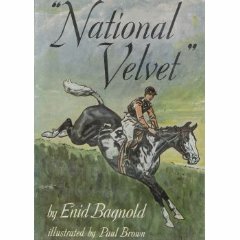 The race is a bit nostalgic, and when I brought it up to a friend she said when she was a girl and read the book, National Velvet, she wanted to ride Pie in the Grand National. Although now that she is an adult, the thought of riding in it scares the pants off of her. I also read the book and watched the 1944 movie, over and over again. 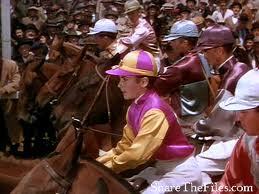 I also wanted to be Velvet Brown, played in the movie by Elizabeth Taylor. The book was published in 1935, with the story of this 12 year old girl taking place in England in the 1920’s, when it was still common for armatures to take part in the race. Although not women. 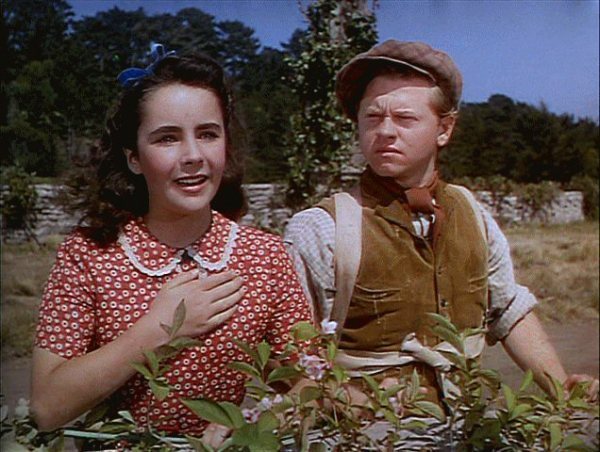 Velvet took an unruly horse and with the help of her best friend Mi, played by a young Mickey Rooney in the film, trained for the Grand National. With her identity and gender hidden, she took part in and won the race. Quite the story for the horse crazed little girl! This weekend I looked at amazing and horrendous pictures taken at the 2012 Grand National. I won’t place any of the photos in this post because I am not sure if that is ok since they are all professional and such. But feel free to Google image search “Grand National 2012” for yourself. If you have any interest in amazing action photography, or train-wreck-like-incidents caught on film, it will be worth your effort. I also watched the video of the race, which I have stuck into this post for your viewing pleasure. Pretty wild. Another friend commented that those animals want to win. Which I think is pretty clear towards the middle where a rider-less horse leads the pack, and is clearly pushing to continue on in the lead. The fences range between about 4 ½ and 5 feet, with varying ditches and drops added in. Take a watch. Even my husband, who has no interest in horses or any type of horse racing, was captivated.